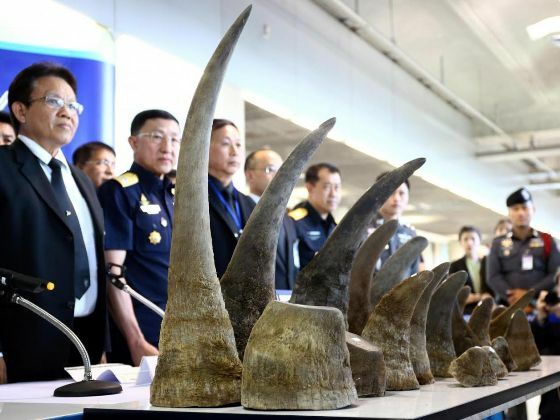 In the biggest Black market seizure in Thailand for years, custom officers have confiscated 21 rhino horns with an estimated value of $5 million. The seizure of the nearly 50 kg (110 lb) of rhino horn came days after 300 kg of elephant ivory was impounded. According to the Police, the rhino horns were found in luggage sent from Ethiopia to Thailand. Warrants are now out for the arrest of 2 Thai women who travelled from Vietnam and Cambodia to pick up the luggage, but ran off when it was subject to a random check.